Tots2Teens needs to have policies and procedures to help guide the actions of all individuals involved in our service.They ensure and endorse the well-being of all families,children, staff,volunteers and everyone conncted to Tots2Teens. 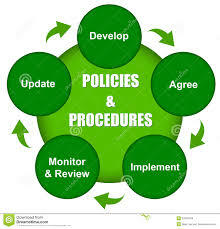 When policies and procedures are well thought out and ,most importantly implemented they provide common understanding and agreement on how things should be done at our service.Procedures provide clear instructions and guidelines on what should/must be done in a particular set of circumstances or with regard to a particular issue. If you would like a copy of any policy, please email admin@clonmelcrc.ie or telephone 052-6129143. Call in and speak to Aoife Power Assistant Manager of Tots2Teens.